So when I get into the office this morning, one of my Windows machines has rebooted and is happily waiting for me to log in, which interrupted a long running task that I had it working on when I left yesterday evening. 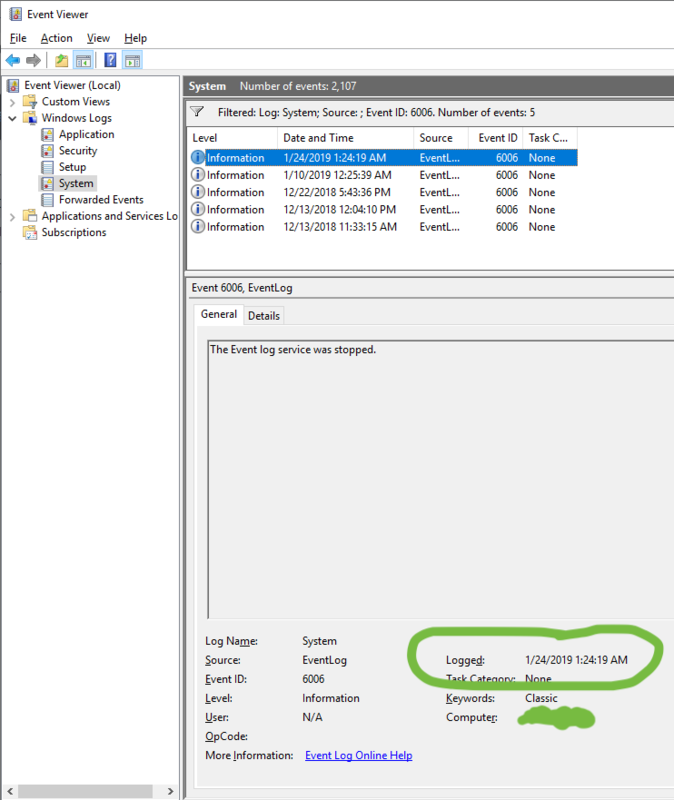 I find it interesting that the computer picked that exact second to stop the event log service. BTW, a posthumous Happy Birthday to John Belushi, who left us far too soon.